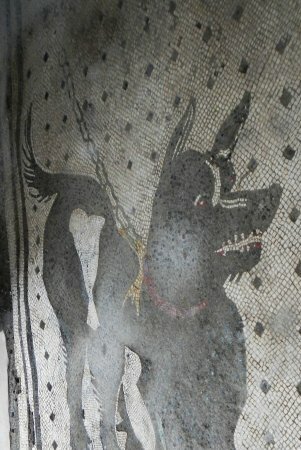 Famous for its mosaic at the entrance of a dog on a chain with the warning 'CAVE CANEM' like so many of the buildings in Pompeii,this one is closed. You can see the mosaic from the street, but not any of the beautiful frescoes inside. 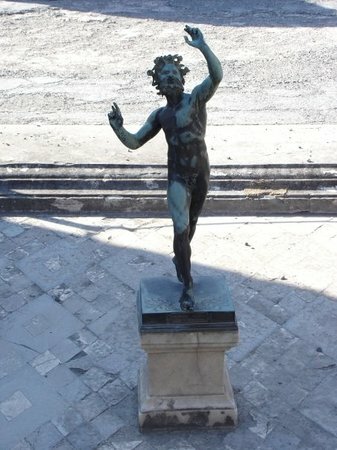 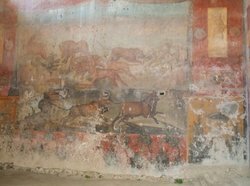 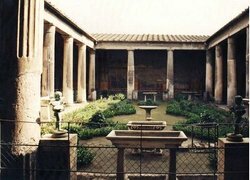 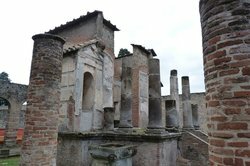 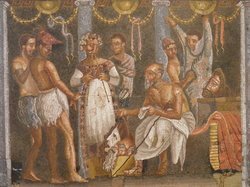 This residence is typical of the middle class that grew rich in the latter period of Pompeii's history. 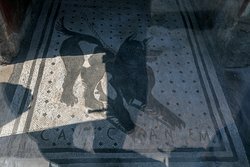 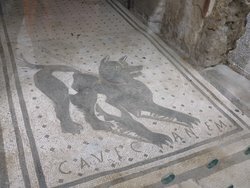 At the entrance is a black and white mosaic depicting a guard dog with the words 'cave canem' - beware of the dog. 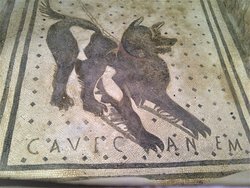 One of the most beautiful mosaics we saw was a picture of a fierce black dog on a chain with the words Cave Canem - Officially the earliest known "Beware of the Dog" sign (found in the house of the Tragic Poet). 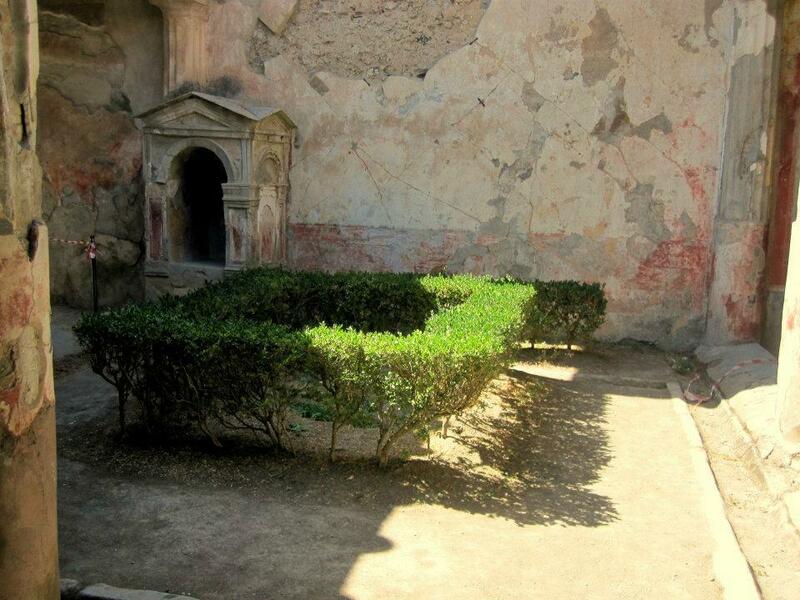 I really wanted to see it! 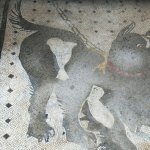 House of the tragic poet has stunning mosaic tiles floors that really stand out. 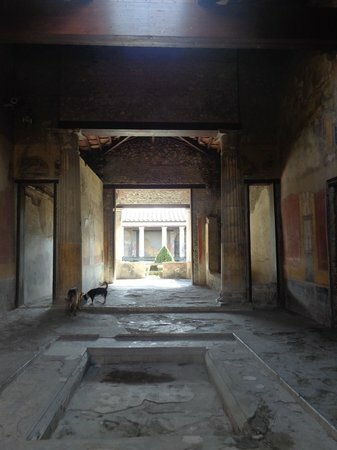 Definitely one of the more interesting houses to view in Pompeii. 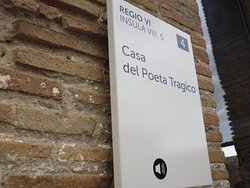 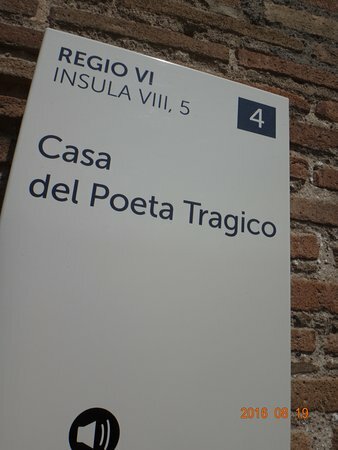 Get quick answers from Casa del Poeta Tragico staff and past visitors.